Triton Ceramics was born from a request from SHEEP Indonesia to help bring better water treatment to Indonesia. 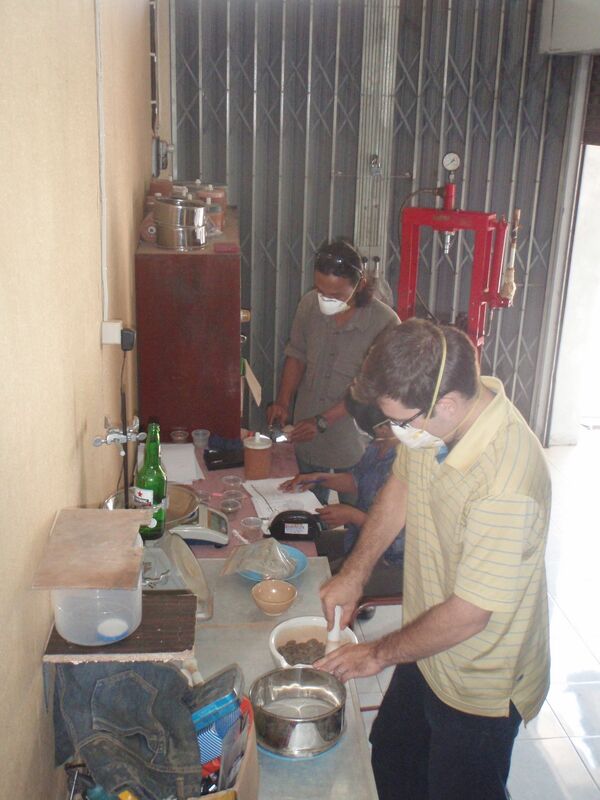 SHEEP is an Indonesian nonprofit organization, interested in locally owned and produced water treatment devices. They are currently building the capability necessary to produce and sell ceramic water treatment devices to Indonesians. 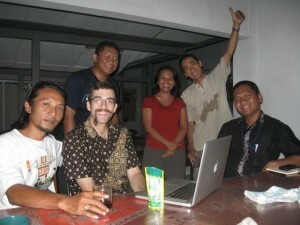 In 2008 SHEEP collaborated with Friends Peace Teams to Asia West Pacific to bring Nick Rozard to SHEEP in Yogyakarta, Indonesia. Nick is an engineer with a degree in ceramic engineering from Alfred University. 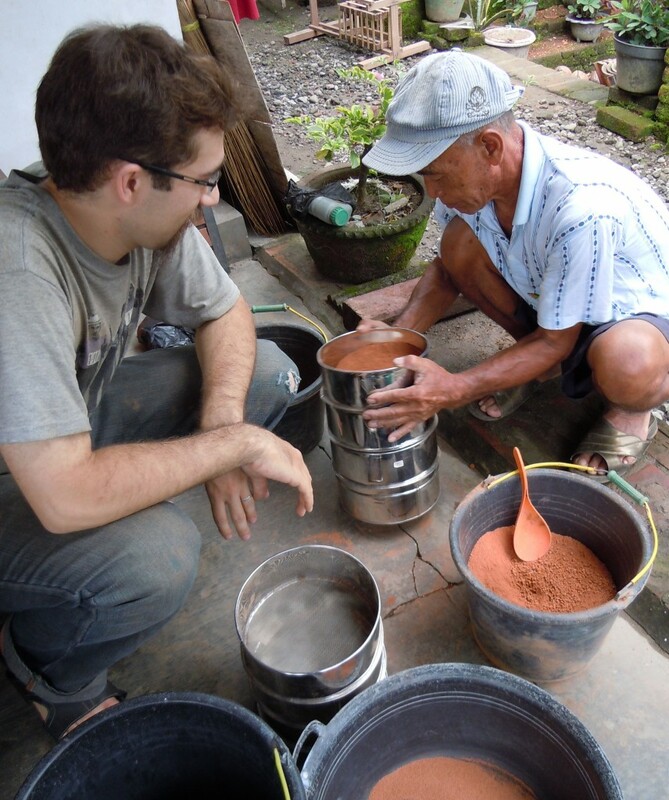 Nick was in Indonesia for two weeks during 2008 to conduct training on ceramics. During the training it became clear that bringing reliable water treatment to Indonesia would require more than a two week trip. Nick returned to the US on a very ambitious path: not only to bring water treatment devices to SHEEP, but to further develop the field by creating his own version of the treatment technology. Nick started research in the US, then tailored the work to the needs of SHEEP during a year-long training in Indonesia starting 2011. During a year living in Indonesia, Nick transferred the technology he developed to SHEEP. Together they built microbiology and ceramics laboratories to support ongoing development. Nick trained some of the staff at SHEEP as technicians for these labs. The year of training resulted in capable staff at SHEEP and working labs. Also Nick and SHEEP were able to forge good connections to Indonesian professionals in related fields of public health, microbiology, and ceramics. Overall there has been huge progress, but no finalized device. It became clear that more research and development work was needed. The place to do it would be Alfred, New York. Working in Alfred provides access to valuable professionals working in ceramics and microbiology, and allows access to research equipment and testing machines. Today Triton Ceramics has made much progress on the research, with preliminary results showing that the technology adequately deactivates bacteria. We continue to develop the technology to ensure its safety and efficient manufacture. We are nearing completion of the research on the basic variables. When this research is complete we will seek to publish this information in an open source format, then transfer this technology to SHEEP and any others interested in undergoing an open-source training.